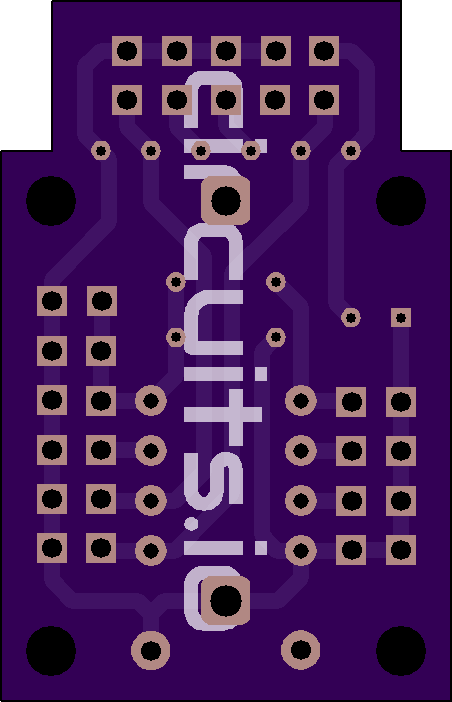 2 layer board of 0.90 x 1.40 inches (23.0 x 35.7 mm). Uploaded: November 1st, 2013 11:09. 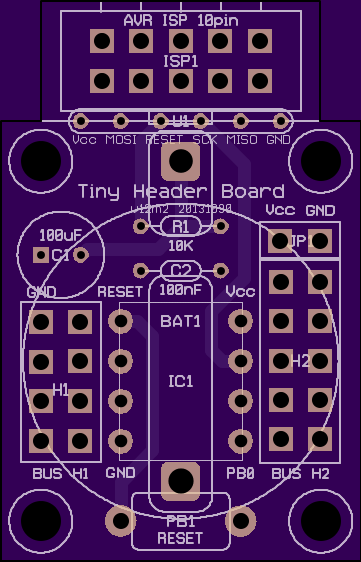 The goal is to have a board that you can start using right a way, contains the minimum required components to run properly and will even let you prototype simple projects without using a breadboard.